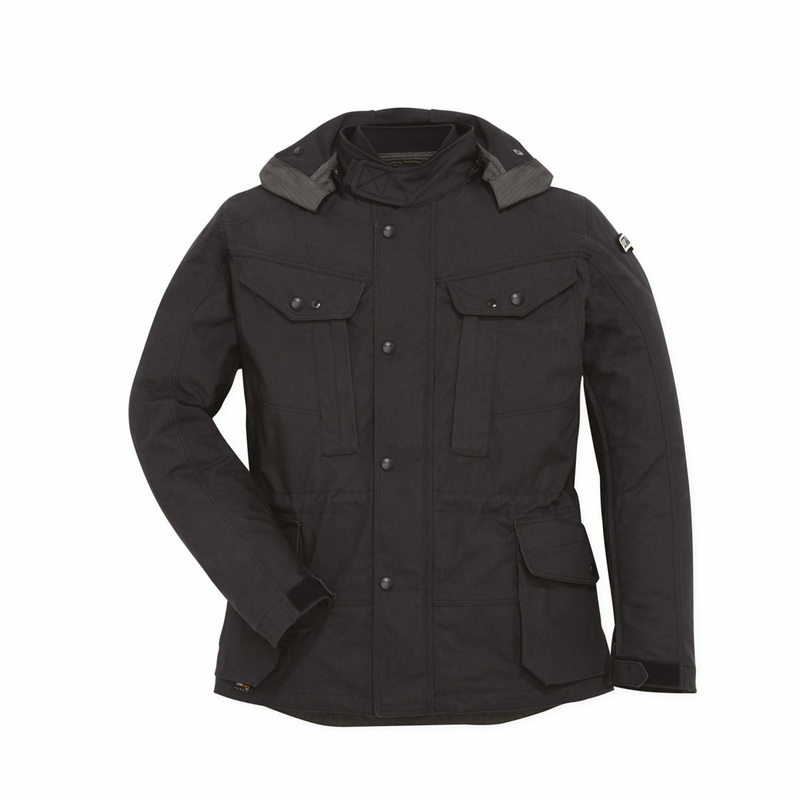 In perfect Desert Sled style, the jacket in fabric is comfortable, protective, and lends itself to multiple uses. 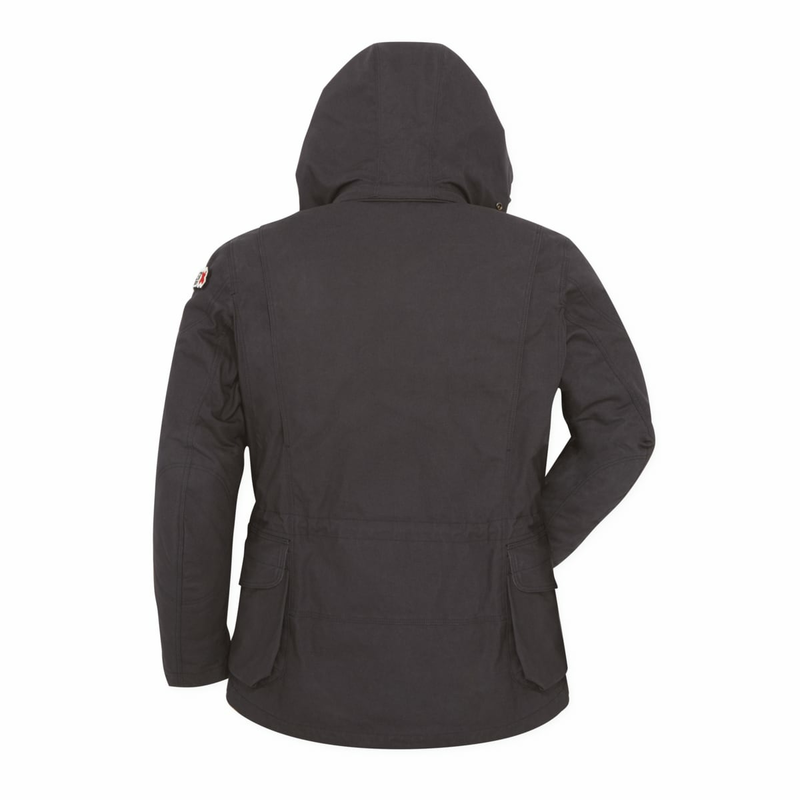 Made from Cordura® cotton fabric, it has a removable hood, volume adjustments at the waist, neck, and wrists, air intakes under the sleeves, and eight ergonomic and generous outer pockets. 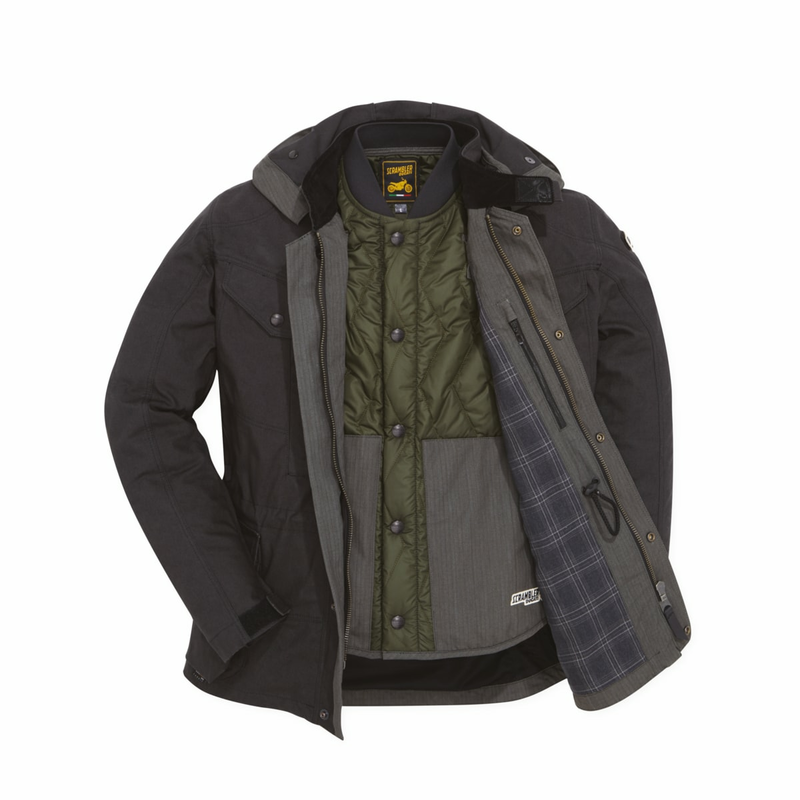 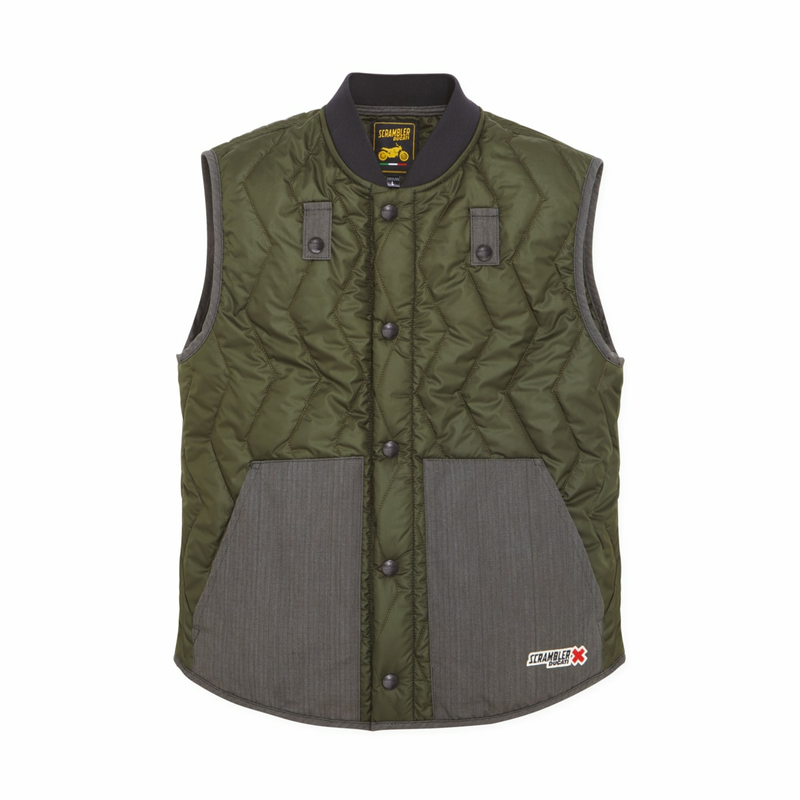 Inside it is equipped with a removable quilted thermal vest with knit neck and padding in hollow fiber batting. 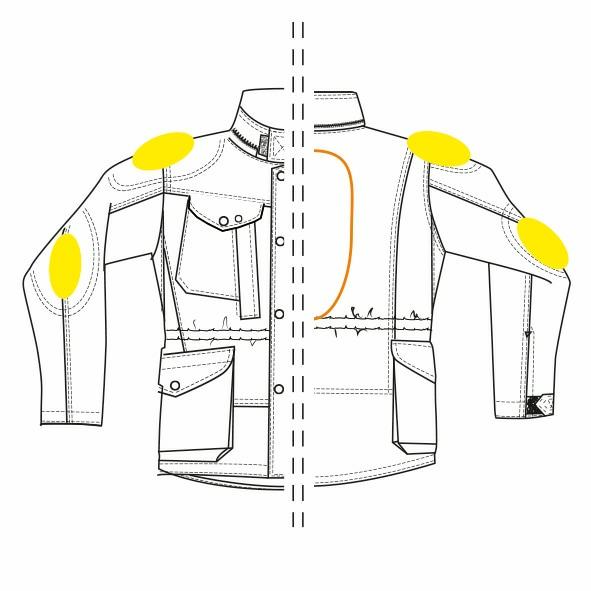 The jacket is also equipped with EC-certified soft protectors on the shoulders and elbows, and includes a pocket for a back protector.